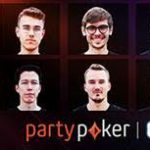 Partypoker announces exciting 2018 Partypoker millions schedule with over $100,000,000 in guarantees. 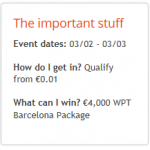 Inaugural €10,000,000 guaranteed, €10,000 buy-in, partypoker LIVE MILLIONS Barcelona Grand Final April 7th-15th. PartyPoker today announced its exciting schedule for the 2018 partypoker MILLIONS series with events in North America, Russia, the Caribbean and Europe as well as online. Overall, the series will be offering over $100,000,000 in guaranteed prize pools between now and December 2018 – including the forthcoming Caribbean Poker Party in Punta Cana in November. 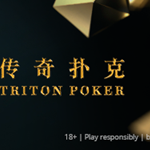 Since its launch at the start of this year, partypoker MILLIONS has made its mark as one of the biggest and most successful poker series ever held. With record breaking prize pool guarantees and countless ways to qualify online for very small buy-ins, MILLIONS events have proved a massive hit across the globe. 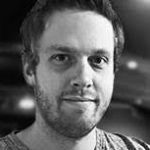 For 2018, partypoker is ramping up MILLIONS even more. 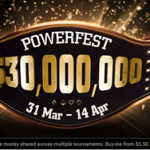 All next year’s events will have guaranteed prize pools of at least $5,000,000 – with five events each guaranteeing a minimum of $10,000,000 in total guaranteed prize money. At the $10,000,000 guarantee stops, at least three players will become instant millionaires with the winner banking a life-changing $1.4 million. 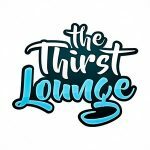 The runner-up and third-place finisher will take home $1.2 million and $1 million respectively, and at least 250 players will be paid, with a minimum payout of €10,000. Next year’s MILLIONS schedule includes new stops at Casino Barcelona, as well as return visits to Kings Casino in the Czech Republic, Playground Poker Club in Canada, Sochi in Russia and Dusk Till Dawn in the UK along with a brand new venue for the Caribbean Poker Party. There are many ways for players to win their live event seats next year, with multi-phase online poker satellites starting from as little as $1.10. There will also be multiple Day 1s for all events – both online and live. Get a free satellite entry here. 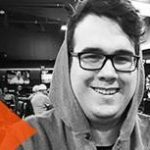 Season 2 of partypoker LIVE kicks off with partypoker MILLIONS in April with a return visit to Montreal’s famous Playground Poker Club. partypoker MILLIONS North America made history in 2017, generating Canada’s largest ever prizepool in a live poker tournament, attracting well over a thousand entries. 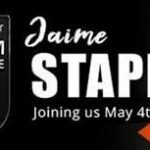 The 2018 event, which runs April 21st – 29th,will see the prizepool guarantee doubled to $10,000,000 CAD. Three-phase satellites for the $5,300 CAD buy-in event are already underway, starting from as little as $1.10. The first Mega Satellite final takes place on October 1st with winners receiving a $5,300 CAD Day 1 Seat along with $700 USD for expenses. partypoker MILLIONS exploded onto the Russian poker scene on its record-breaking debut visit to Sochi in March this year with 1,170 entries for the $1,000,000 guarantee event in Russia. 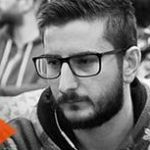 The $5,000,000 guaranteed MILLIONS main event also broke records when it returned in September for the largest event in CIS history with 999 players, one away from hitting the enormous guarantee. In 2018, partypoker LIVE returns to Sochi for another $5,000,000 guaranteed prizepool at Russia’s popular all-year-round resort. The event will run from August 4th to 12th. Next year’s partypoker MILLIONS UK event is taking place at the famous Dusk Till Dawn club in Nottingham from September 29th to October 9th. Following a highly successful event this year, the event returns with a prizepool of £5,000,000 (approx. $6,500,000 USD*). In November 2018, partypoker MILLIONS is taking its fantastic Caribbean Poker Party to a brand new destination which will be announced very soon.